When compared against its early days and even the first half of the 21st century, it’s safe to assume that Microsoft’s working environment is vastly different now. The company is not limited to Windows or Office products. Instead, it’s got a well established gaming presence in the form of the Xbox. The Azure platform is one of the industry’s fastest growing sectors and despite lackluster market share, Microsoft hit a home run with its Surface lineup. Today, the company announces some important management shake-ups which will allow it to stay in tune with current times. Head over below for the details. The big news around today’s announcement from Microsoft CEO Satya Nadella is that long-time company employee Terry Myerson will retire. He has served the company for 21 years, joining Microsoft after it purchased Interse Corporation, founded by Myerson. He led the Microsoft Exchange software team for eight years, until 2008. Myerson’s departure comes under one of the largest re-organizations in Microsoft’s operating structure in years – particularly after Satya Nadella’s appointment as CEO. This restructuring comes as Redmond now looks to focus its energies towards growing market segments. Windows, which also includes Surface and Xbox revenues grew by just 2% in the company’s most recent quarter. On the other hand, Azure sales grew by a massive 98%, Office 365 by 41% and Dynamics 365 by 67%. Now, Rajesh Jha will lead Myerson’s former department, renamed as Experiences & Devices. Jason Zander is Executive Vice-President for Azure and Scott Guthrie will lead AI Platform+Cloud. Panos Panay will serve as the Microsoft’s Chief Product Officer, leading first party devices with a focus on enterprise applications and usage. 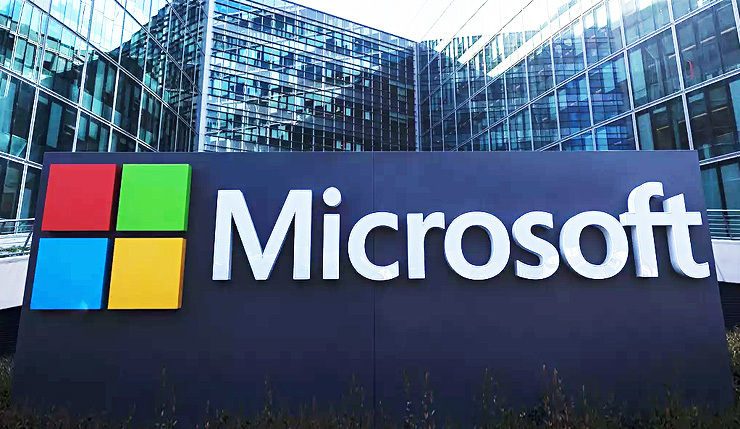 Microsoft and the industry’s future lies in AI and cloud computing, and Nadella’s reshuffle looks to take place just at the right time to ensure the company can capitalize on its upward trend for all critical growth areas. He’s got big goals, looking to transcend Conway’s Law in a bid to become the global leader for Artificial Intelligence and Cloud computing. Microsoft has the resources and the skillset to pioneer changes which will benefit millions. The company has its software edge when compared against primary competitors, Amazon and Google. Whether it can capitalize on it, we’ll find out only in the future. Till then, stay tuned and let us know what you think in the comments section below. We’ll keep you updated on the latest.